Highly sought and rarely offered, this spectacular, four bedroom, two bathroom home on 2.9 acres, (approx), enjoys sweeping views across Emu bottom wetlands and beyond. The principal living areas comprise a formal lounge and formal dining room with a feature brick partition hosting a Coonara solid fuel heater. The expansive rumpus with a second Coonara heater and bright open plan kitchen/dining, extends to a huge covered alfresco, maximizing the homes enticing views and lush surrounds. The spacious kitchen boasts a picture perfect frameless bay window, ample cabinetry, modern stainless steel appliances and induction cooktop. Tranquilly set in a wing of its own are three double bedrooms with BIR’s, serviced by a large central bathroom and master with WIR and ensuite. 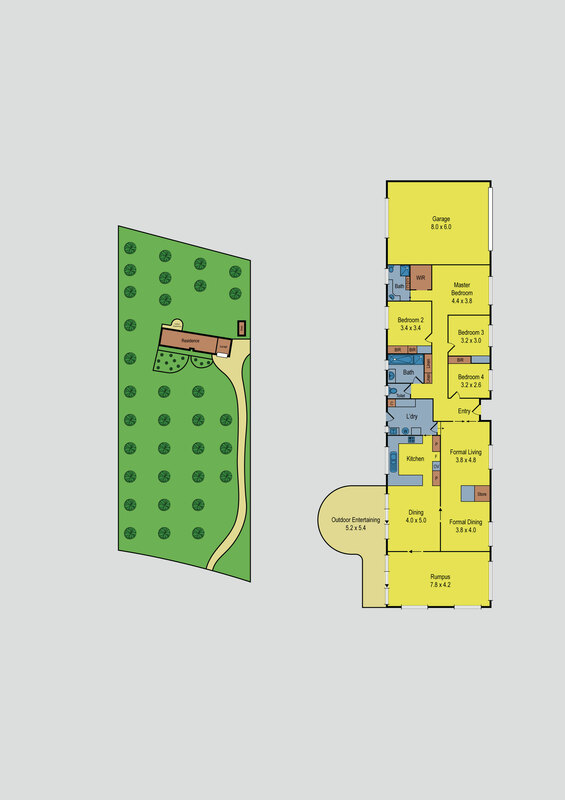 Adding to the residences inspired comfort is the double garage, ducted heating and cooling, polywater tanks, garden shed, mature fruit trees, extensive vegetable garden and a large shed/workshop. Convenience is outstanding, only minutes to quality schools, Sunbury township and Spavin Lake while handy access to freeway, train station and airport ensure all your commuting bases are covered.